By the fall of 2008, it was hardly a secret that Chrysler was the weakest of the Detroit Three automakers. 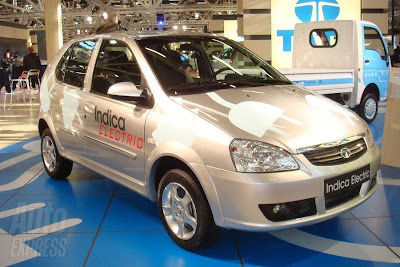 So its surprise unveiling of three prototype electric and hybrid vehicles was nothing less than a bombshell—as was its pledge that at least one of them would go into production by the end of 2010. 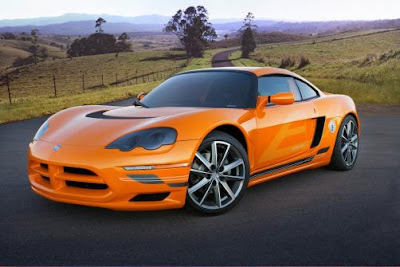 That vehicle will likely be an electric sports coupe, revealed then as the Dodge EV. The same car, with a new name—the Dodge Circuit—reappeared at January’s Detroit auto show. 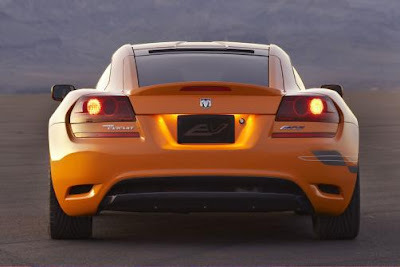 By that time, it had acquired new front and rear panels, giving it a “unique, fearless Dodge design” with a strong family resemblance to the legendary Viper V-10 sports car—minus the exhaust pipes, of course. A restyled Circuit hadn’t been expected at the show, where it appeared beside three Chrysler vehicles adapted to electric or series hybrid drive: the familiar electric-drive Chrysler Town & Country minivan and Jeep Wrangler, and a newly unveiled series-hybrid Jeep Patriot crossover. Those vehicles, warn industry analysts, are highly unlikely to be built as shown. The Circuit, however, is considered more viable—at least in low volumes. 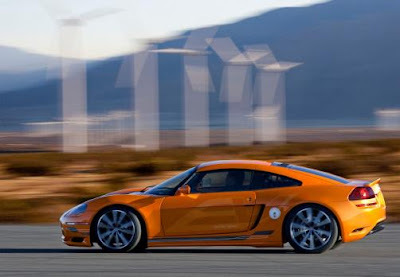 Underneath the sleek lines is a vehicle based on the Lotus Europa unveiled at the 2006 London Motor Show, just as the Tesla Roadster uses basic structures and components from the Lotus Elise. It’s a good formula: Start with a lightweight, mid-engine Lotus sports car, remove the engine, and add a large battery pack and electric motor. 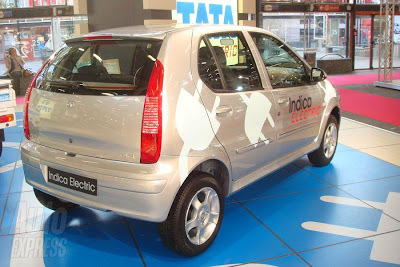 In this case, the Circuit has a 200-kilowatt (268-hp) electric motor powered by a lithium ion battery pack of unspecified size. Like the Dodge Viper it alludes to, the Circuit is a “halo vehicle” that’s all about performance. It’s said to do 0 to 60 mph in less than 5 seconds, with a top speed of more than 120 miles per hour. The quoted range is 150 to 200 miles; as with all cars, range depends on how aggressively it’s driven. The Circuit carries over much of the Europa’s cockpit fittings and instrumentation. Two analog gauges are supplemented by a digital display for data on the operation of the electric-drive system. A CAR Magazine road test of the Circuit called the handling “nimble and rewarding” despite an increased rear weight bias, though it said the Europa’s wind and road roar was far more pronounced with the relative silence of the electric motor. One of the most intriguing aspects of the Circuit appeared on page 135 of Chrysler’s 2009 recovery plan, filed with the US government in February to support its application for loan guarantees. It’s just two words on page 135, but in the list of production vehicles for 2011, it says “EV roadster.” Not Circuit, not “EV coupe,” but roadster—leading Dodge fans all over the country to hope the new electric sports car might be closer in spirit to an earlier concept, the Dodge Demon shown to great acclaim in 2007. By most definitions, a roadster has a collapsible or removable top—think British sports cars like the MGB—whereas a coupe has a fixed roof—think James Bond's classic Aston Martin DB-6. 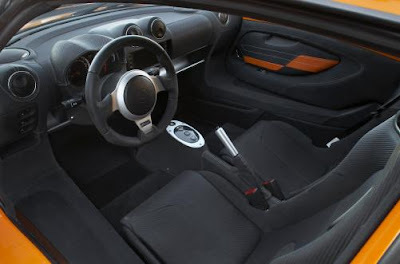 The Demon was a front-engine, rear-wheel-drive roadster, similar to the Mazda Miata or Pontiac Solstice. While the styling was aggressive, its powertrain broke no new ground. Asked to clarify, Chrysler spokesperson Nick Cappa shed no further light on the issue. He said, "We're really not commenting on anything in the plan." The bigger question is whether a low-volume, presumably pricey sports car—regardless of its roof—really helps the company with its financial recovery. The company has a great need for fuel-efficient sedans and crossovers that regular consumers will buy. For those vehicles (electric or not), Chrysler seems likely to rely on its putative partner Fiat—if indeed it manages to survive as an independent company at all. So a DIY car powered on walnut shells is not your thing - what about an electric car? While UK electric vehicle retailer NICE may have been hit by the financial crisis, and while the Norwegian electric car manufacturer THINK! 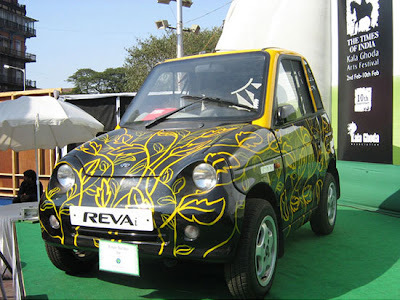 may be in urgent need of a bail out - their Indian-made rival REVA – sold as the G-Wiz in the UK – still seems to be going strong. Having upgraded the range and speed of the REVA/G-Wiz last year, February will see yet another boost in performance with the launch of the REVA L-ion. 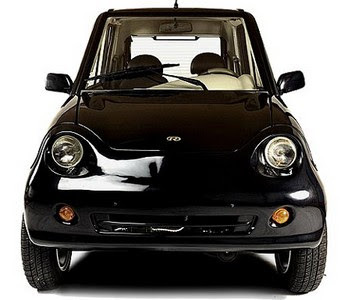 The company claims the new technology will greatly increase the appeal of the REVA/G-Wiz, making it a viable transport option for the suburbs as well as the city – read on for the impressive details. Research conducted by Professor Julia King for 2008’s King Review of low carbon cars concludes that 93% of car journeys are less than 40 kms (25 miles) and 97% are less than 80 kms (50 miles). REVA’s own data, based on 55 million kms of driving habits by customers in 20 cities worldwide also reflects the nature of every day city driving and the number of short trips. REVA’s decision to offer this combination of increased range and speed extends the L-ion's usage to the suburbs and means that up to 95% of all car journeys can be completed without the requirement to recharge.